So I realized (aka it was pointed out to me) that I never revealed what it was I bought M for his birthday – especially after all that badgering he managed to withstand leading up to the day. We ended up having a rocking shindig for him on Sunday night, filled with food, friends, drink, games and general merriment. The flowers, I should point out, were given to him by our brilliant friend Ms. M, whom, I am so excited to say, has just returned to the West Coast after spending a year and a half in Australia on a working holiday. She is pretty much the best ever folks. Anywho, Mr. M loves Canadian history – Farley Mowatt, White Fang, North of 60, Pierre Burton – you name it. So when I saw this hand written, hand illustrated book, I knew I needed to get it for him. I also fell head over heels in love with his card. It’s a mouse! Dressed in Elizabethan garb! HOLY MOLY! It’s funny, I don’t think I subscribe to a specific form of nationalism (goodness, I have a hard time using that word in a non-pejorative sense), but sometimes I dig being Canadian so much I feel a little funny. I mean, I’ve read enough literature on the invention of borders and passports, and the evolution of national languages and mythology to be wary of buying too much into these institutions and systems. Heck, I wrote my master’s thesis on Canadian and British immigration policies post-1945. However, I feel as though this perspective gives me enough wiggle room to take to heart some quintessential Canadiana, while still remaining critical of these norms on a larger scale. When we were living in the UK, our flatmate S (we lived in an absolutely bat crap CRAZY old mansion that had been converted into nine apartments and we were living in 300 square feet of madness) asked if we could put together a slide show of some Canadian vistas, because he had always been attracted to our country’s wildnerness. So over dinner the next night (we had a sweet system in place where one out of three couples that made up our group would cook, so all six of us could rotate cooking and washing duties) M and I shared as many photos of our travels across Canada as possible. While I may live on the West Coast (and love it here), much of my heart belongs in the East. The Maritimes are so beautiful I do not know where to begin to describe them. 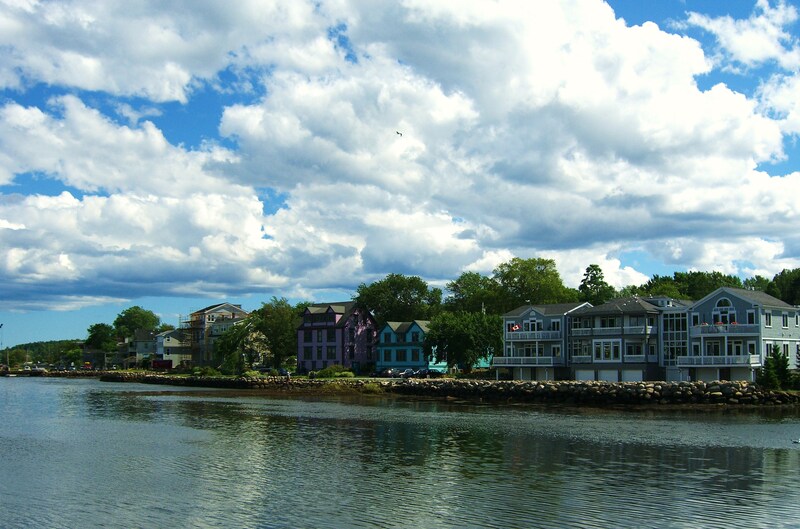 Nova Scotia’s beauty is stark, cut out of wild, tempestuous seas, multi-coloured fishing villages, fiddle-driven ceilidhs, and the effervescent, endearing (and enduring) spirit of some of the nicest people you will ever meet. No more caps, I promise. M and I do quite a bit of hiking. Seriously, in the summer months, gives us our hikers, a mountain, some food and water (and also sunscreen because goodness knows if you’ve seen my skin you’ll understand that I am in fact a vampire) and we are happy. Two gorgeous trails for views of a lifetime are Mt. Daniel on the Sunshine Coast (GO THERE NOW – sorry!) and Lighthouse park on the North Shore. M is a journeyman carpenter. Five years ago he worked on the Olympic ski jump in the Callaghan Valley (GO THERE) and he took this pic just as the weather began to turn, heading in the tail end of autumn. All of the pictures he took from his time on the job site are pretty darn spectacular, however there is something about this one that just leaves me with goosebumps, all up and down my arms. He did also manage to take a few snaps of bears. 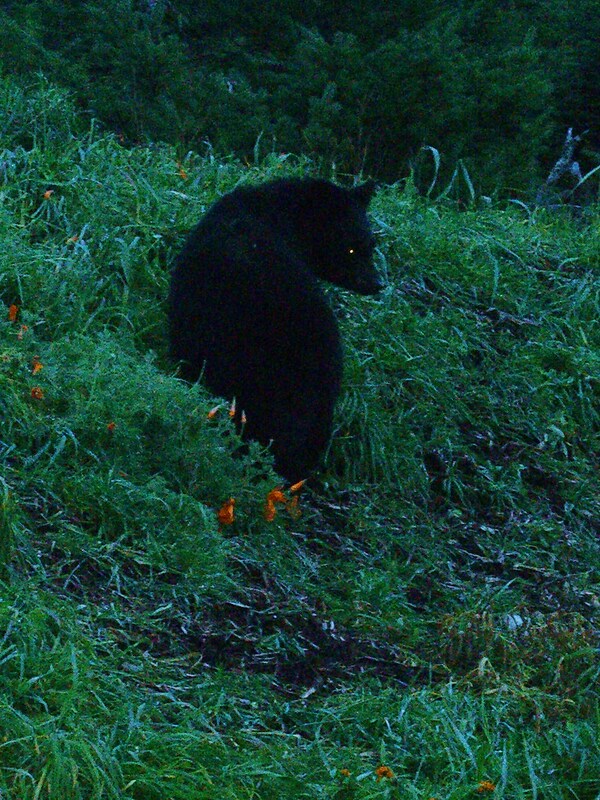 And boy do I ever love me a pic of a black bear scouring the grass for some tasty wild flowers to munch, munch away on. And speaking of which, I’m off to procure some grub myself. So I ask you friends, what places would you like to share with the world from your own backyard? I’d love to know, even if it’s thousands of miles away from your actual home. The mouse reminds me of Reepicheep. You know? YES! You are totally right. It reminded me of that old fantasy series with all the rodents and mustelids and lagomorphs by Brian Jacques. I don’t remember what the series was called but I believe the most prominent book was called Redwall. 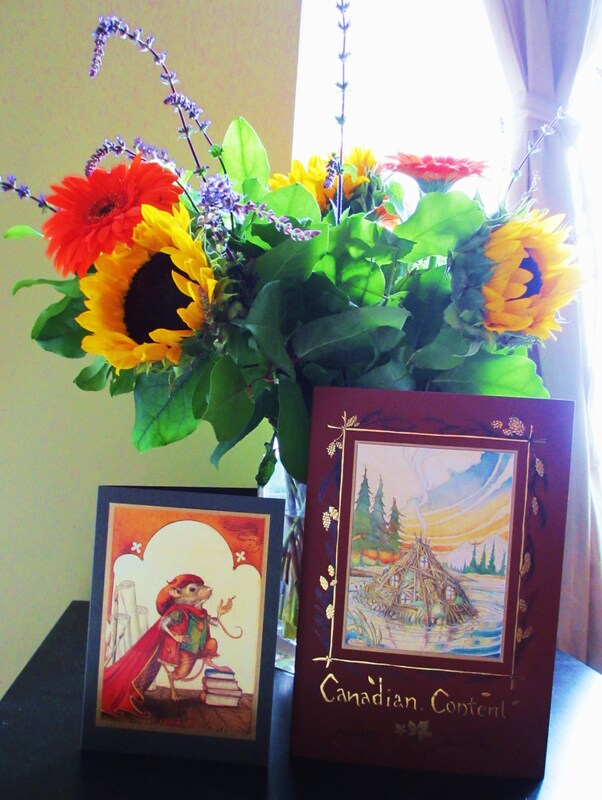 What a gorgeous book – and card! There are some really – seriously – I am not kidding you – amazing places to be seen. Victoria has some gorgeous walks through the old town and the Empress Hotel is worth a walk through even if you can’t afford the prices to stay. 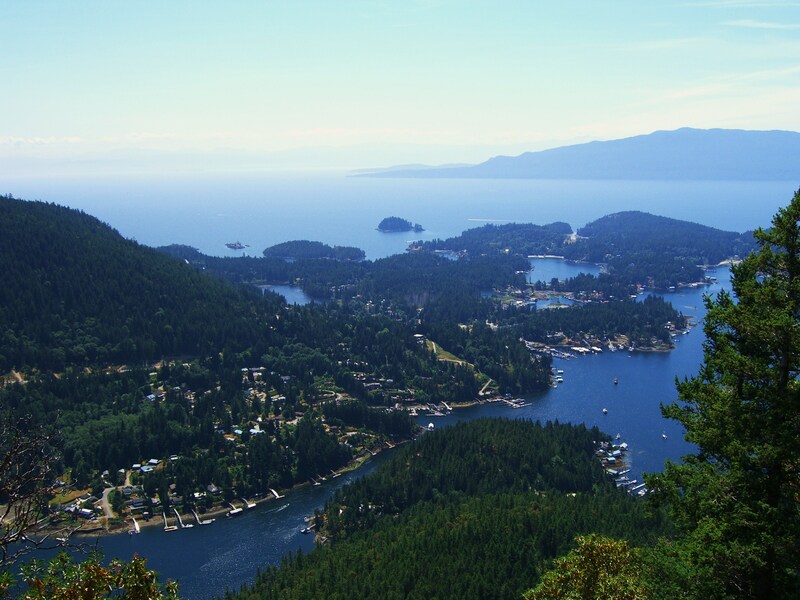 Nanaimo has an incredible amount of hiking trails, from up high to down low – and boy, do they have some weird local heroes. 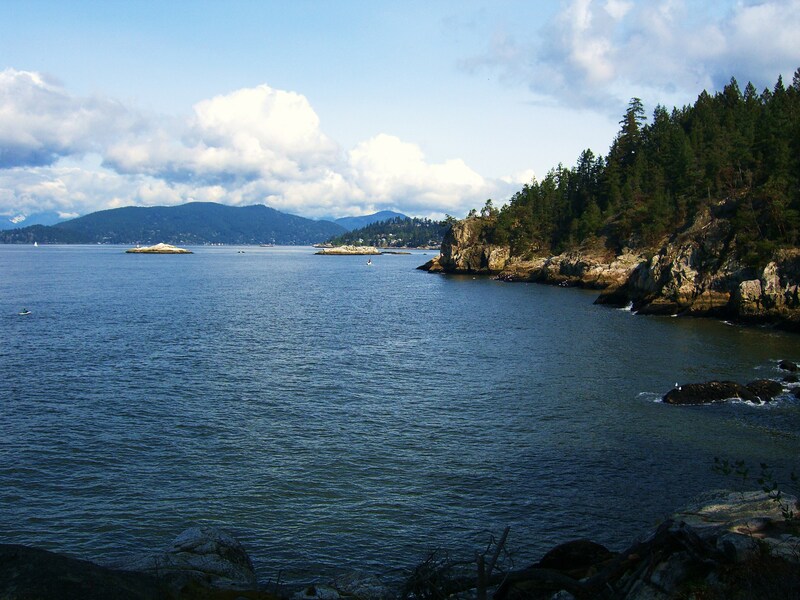 Almost any of the islands is worth a visit – Saltspring, Galiano, , Denman and Hornby, Quadra and Cortes – or even Newcastle or Protection Island (tell me you don’t want to visit a park called “Gallows Point Park”). And north of Nanaimo is an endless stretch of shoreside towns, all with their own identities (redneck-hippie, redneck-mysticism, redneck-beatnik, and if you want to go inland a little and hit Port Alberni, redneck-redneck… I kid because I love, Port Alberni), and scattered in and around every town are endless beaches. And that’s only the east side! Head to the west side of the island, and just driving there will give you incredible views – including Pacific Rim National Park, which you drive right through (assuming you resist temptation every time a side road crops up and begs you to try it) to get to Tofino (identity: hippie-surfer-redneck), but which is only the last in a long, long road of incredible views – don’t forget to stop at Cathedral Grove, where there is an ongoing tradition of photographing yourself next to very tall, very fat, very old, and sometimes very unstable trees. On windy days! And lastly, as a lover of hiking and camping, if you have a week or so I strongly recommend tackling the West Coast Trail. I am so very much Not Exaggerating How Important It Is That You Do This. Now if you’ll excuse me, I apparently have a bright future in the tourism industry. Or, if they ever can make walls out of words, in the wordbrick-laying industry. I have indeed hopped over to the island, but that didn’t stop me from enjoying your comment! You actually SHOULD work for tourism BC – you are a terrific sounding board for them, that is fo sho. I haven’t ever been to Tofino and I would love to go so very much. The West Coast Trail has been on “THE LIST” forever, but it’s just so difficult to find that much time off, plus the fact that you have to book so far in advance is a bit of a pain. This summer my Dad, M and I are going finishing up past Port Hardy and I’m pretty stoked about it. I’ve never gone fishing like that before. 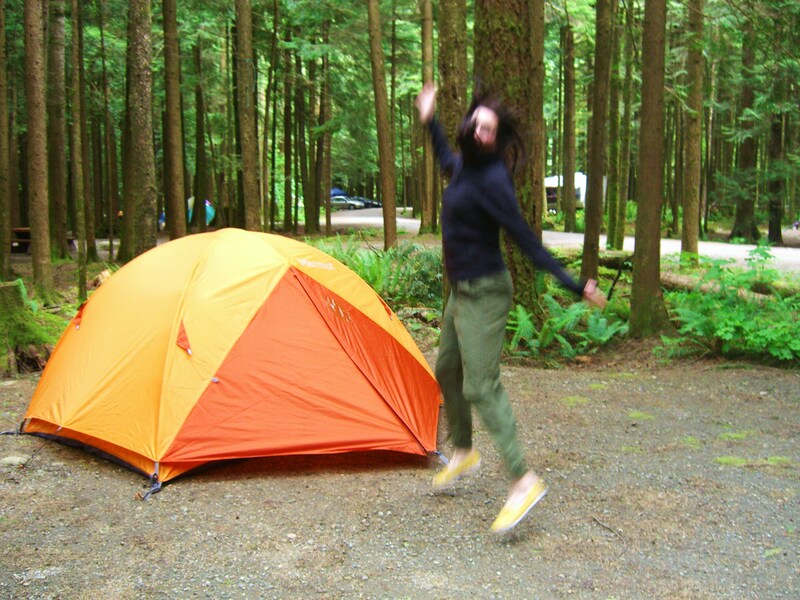 Another thing I’ve done before but really, really want to do again is bike/camp the gulf islands. I just need to become independently wealthy really quickly and then all these trips will belong to me. Great way to showcase Canada! I definitely have to get out east one day! It just seems stunning over there. Sounds like you had a great birthday party, send M our bday wishes! I love the blog post! OMG the hedgehog melted my heart! Really, really cool snaps. The scenery where you guys are at is just bea-utiful!! I used to have a pet hedgehog named Freyr. He was pretty cute but a pretty awful pet (he hated me and whenever I’d try to socialize him he would make this sound like boiling water). I think I’ll stick to pictures of hedgehogs from now on. Holy crow. That is both hilarious and terrifying. Okay, you’ve just grown my “Travel List” by leaps and bounds, thanks for that! ;) These places and the photos – it all sounds amazing – and the all caps can attest to it. 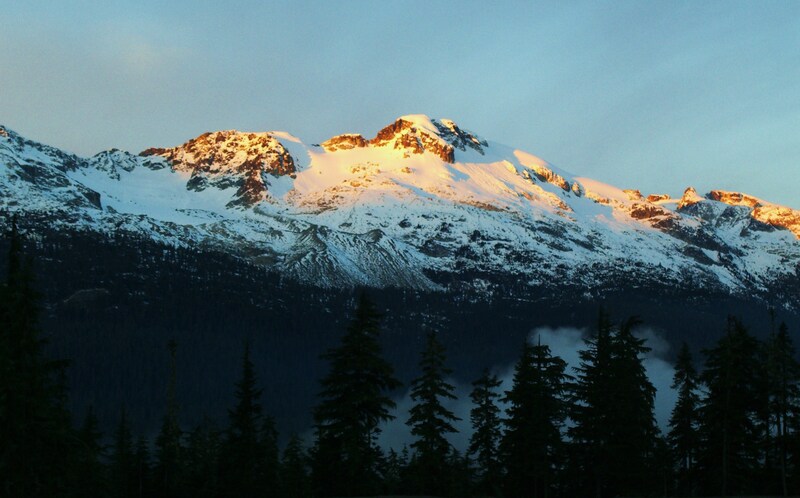 I’m a fan of Whistler (so beautiful) and hoping to head to Sqamish this summer for a bit of rock climbing. :) I think one of my favorite places is Hurricane Ridge on the Olympic Peninsula. It’s simply stunning. Great post, lady!! I am such a caps fiend, I find that I need to force myself to bring it down a notch whenever I write! You just cannot get better than summer + squamish + climbing. Ive never been called a beauty cat before. I quiet like it! Anyways, I suspect Mr. M is so wonderful because he was born in May – us May babies are quiet spectacular…if I do say so myself ;) I’ve never gone camping (crazy…I know) so please blog about your experiences this summer so I can live vicariously through you!!! May babies are totally the best! My older sister is a May kid too and she is pretty fricken stellar. And I promise to blog like a blogging thing about all of our camping adventures! id love to come and walk around in canada…………we ,that be fatty my wife and i ,love camping and hiking……….we live in south africa and go to the drakensburg alot…its awesome and very beautiful…………but the best place ive ever been is the cedarberg in the western cape……….i wish to go there again but it over a thousand kilometers away….a long drive indeed. You must! You will not regret it. My husband spent a month in South Africa about ten years ago. He loved his time there very much! possibly the best climate in the world……….. Thanks Ms. D! If you ever make it out to Vancity, you can count on another blogger friend to show you around let me promise you that!